Find the green field for the next level! But watch out! You have 5 seconds for each level! 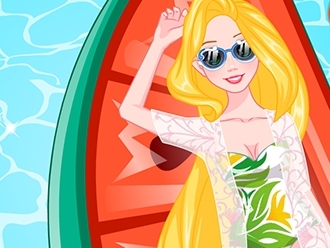 Play free game Tims Time Travel on bestgames.pk. Merida had an accident and hit her head pretty bad. Help Merida to get well using magic helmet, to reduce the pain caused by the fall. Then using the syringe, do the blood tests and see if Merida has all the vitamins in her body. After that use the scanner to find her broken bones and help her doctor to heal her bones by finding the broken bones and pressing them. With the thermometer check her temperature and help Merida take the medicines correctly stated by her special doctor. Enjoy this game! 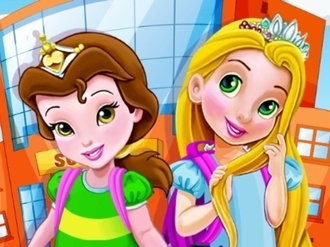 Save Rapunzel's life in a new and exciting doctor's game! Her heart stopped beating so start performing CPR using both hands and the defibrillator paddles. 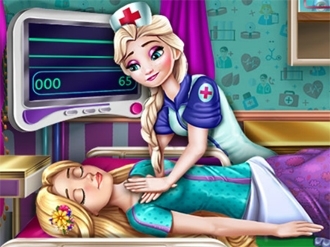 Once Rapunzel is out of danger make sure she is well hydrated and give her the proper medicine. The right treatment will help her fully recover after the resurrection and feel much better.